High school can be a challenging time in the life of a student because he or she is expected to bag a job after graduating. As a result, it is advisable for students to start preparing and working on their resumes while in school. 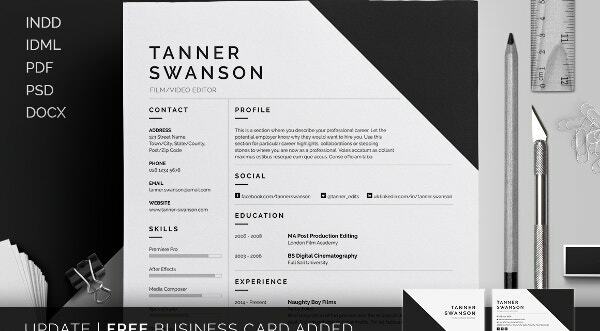 Young students with a little or no work experience might find it incredibly hard to design resumes. 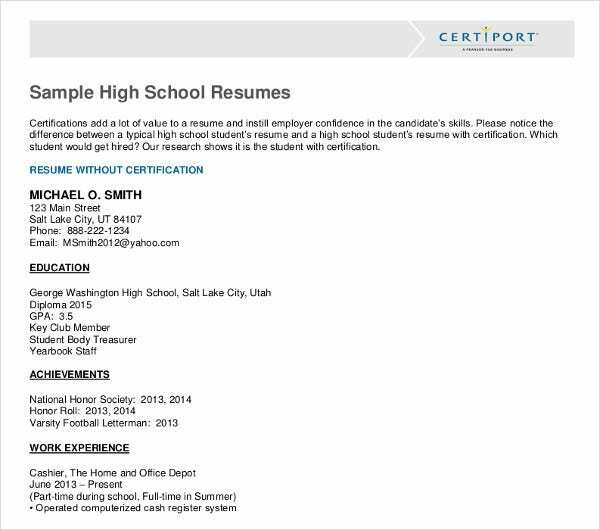 For that, you have these student resumes below. There are different kind of Resume Templates for each student here. Most high school students have little or no work experience. For such students, this resume samples would be perfect. You can add all your academic qualifications in this Word format template. If you’ve taken part in extracurricular activities or have completed internships before, you would be able to list all of that in this template. You have sufficient space here to incorporate all your work experience. This template is sure to bag you the job of your dreams. You could follow the guidelines provided in the job resume template here and come up with your own resume. 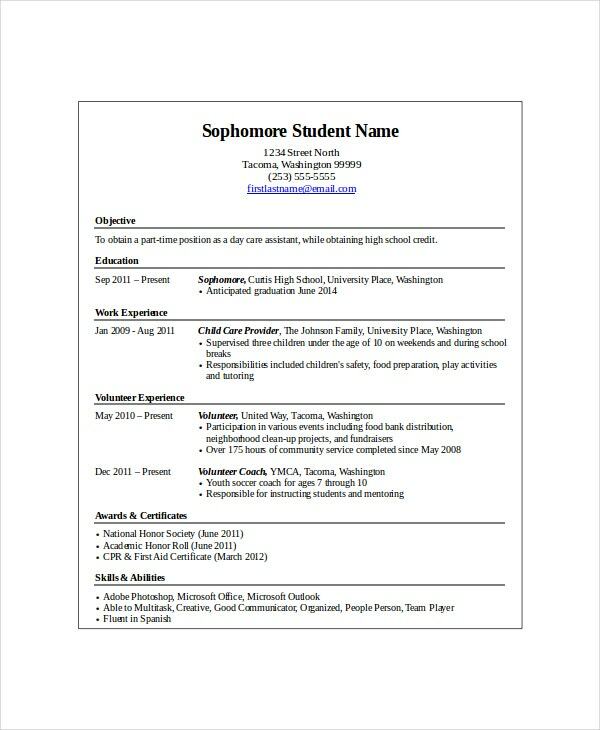 This resume example template is versatile in the sense that it can be used by any student in school or even teachers applying for entry level jobs in schools. You just have to tweak the details accordingly. 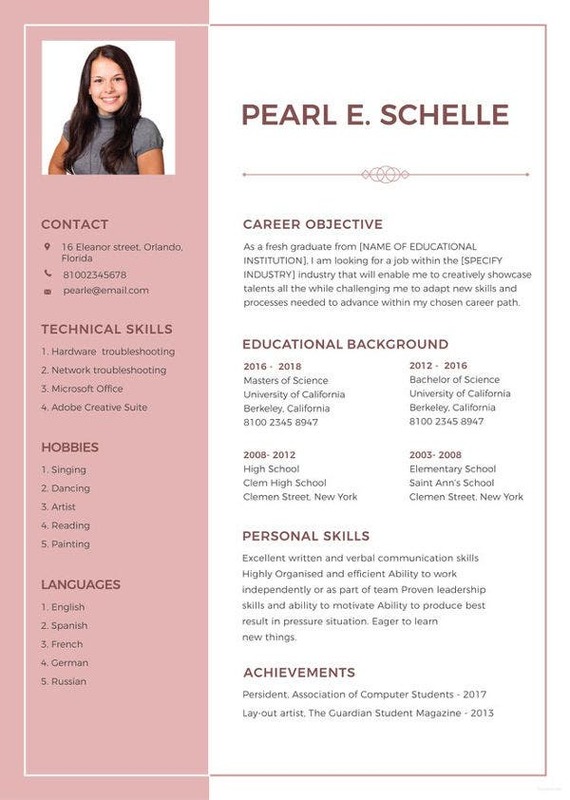 If you are looking for samples before you create your own resume, you would surely appreciate this template. This template would be perfect if you’re looking for part-time or full-time jobs while in school. 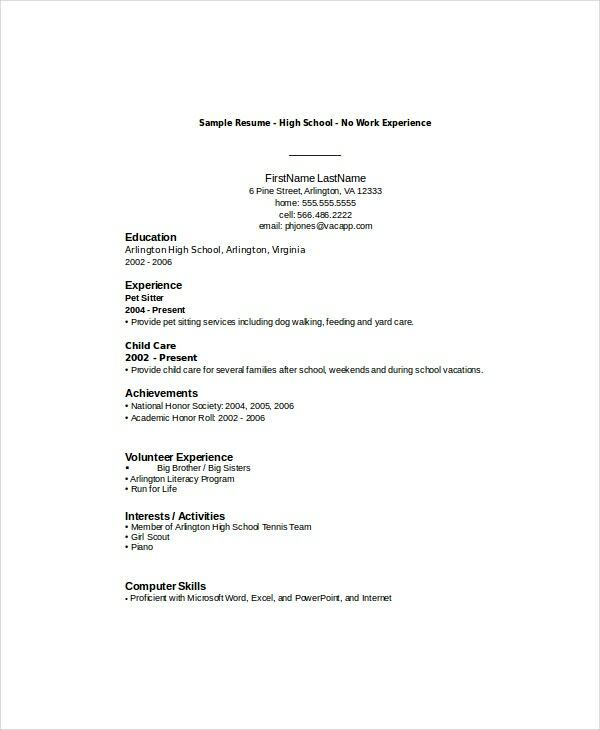 You may also see College Student Resume Templates. 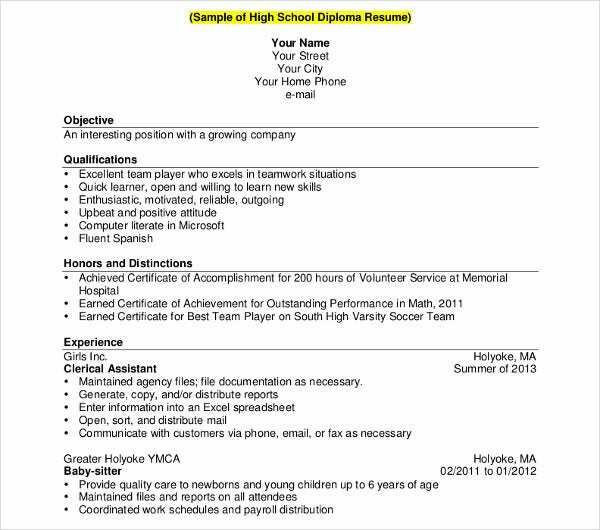 Who can use the High School Student Resumes? 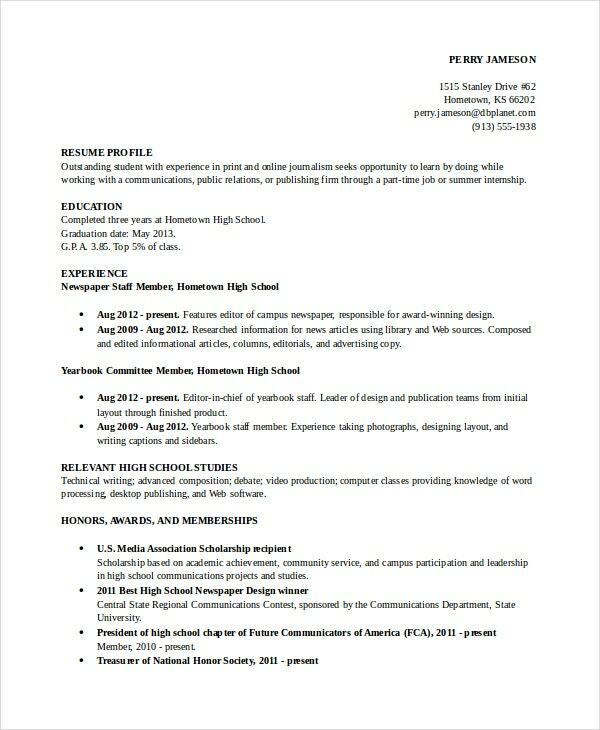 As the name suggests, these resumes have been specially designed for high school students. Freshers in college or college graduates will not find these resume templates handy. Students still in high school or those who have just finished school could use these templates. Most high school students want to pay their way through college nowadays. You may also see Construction Resume Template. For that, they keep an eye out for part-time jobs which can provide some quick cash. Students looking for such jobs or internships may also download these templates. As a matter of fact, students who want to work while still in school would also be able to use these templates. 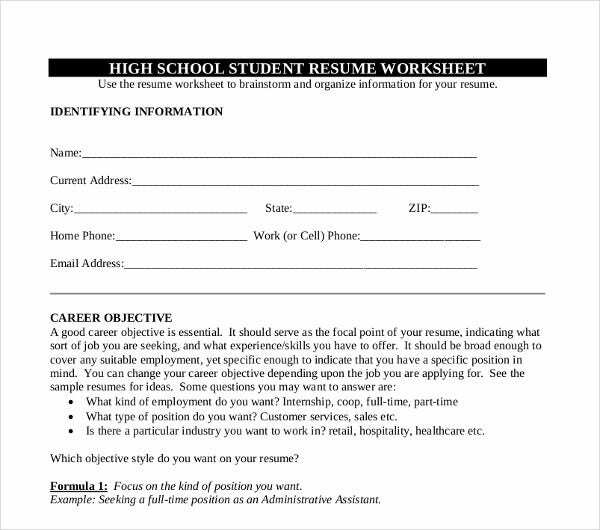 What to Include in High School Student Resumes? These resumes have been specially designed for students who are still in high school or those who are about to graduate. Thus, the high school student resumes that you see here have been designed accordingly. At this stage, you are not expected to come packed with tons of recommendations or work experience. Thus, it would be wiser to focus on your academic qualifications or the subjects you’ve studied in school. You can also mention some of the extra courses you’ve done or the extracurricular activities you’ve taken part in. You should also mention the professional skills you’ve acquired and your interests. 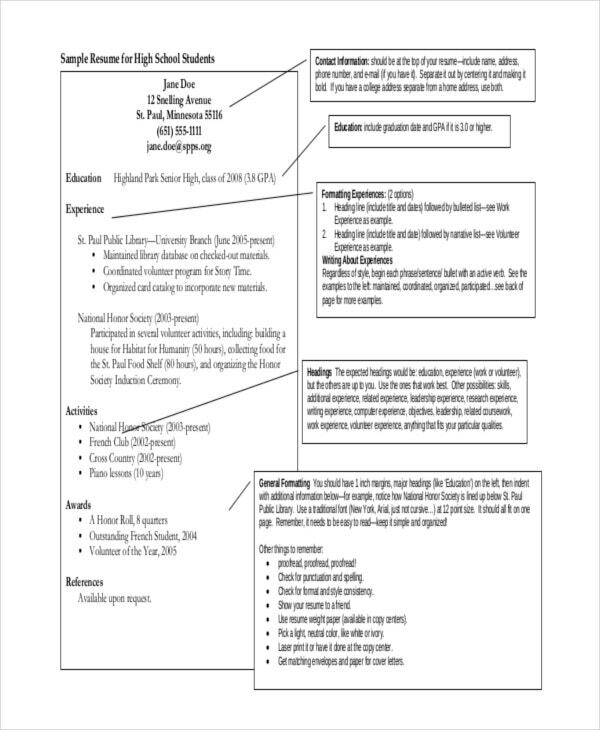 You may also see Project Manager Resume Template. Do not miss out relevant information. Mention all your personal and professional details in the form of points, in an organised manner. Keep your resume simple and to the point. Do not add unnecessary information or flashy designs. Check and recheck your resume before you print. If you need to change something or correct an error, do it before you print it. 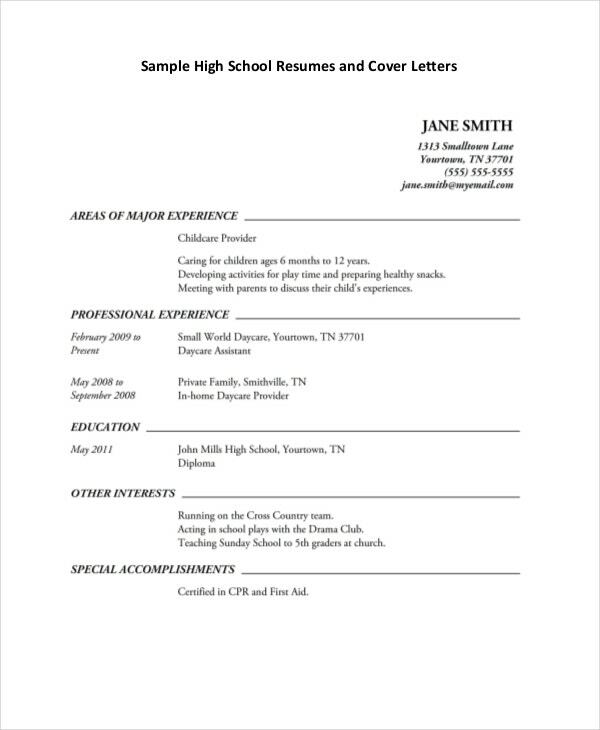 Use high school student resume templates which are comparatively easy to update. There are a variety of student and teacher resumes here to choose from. 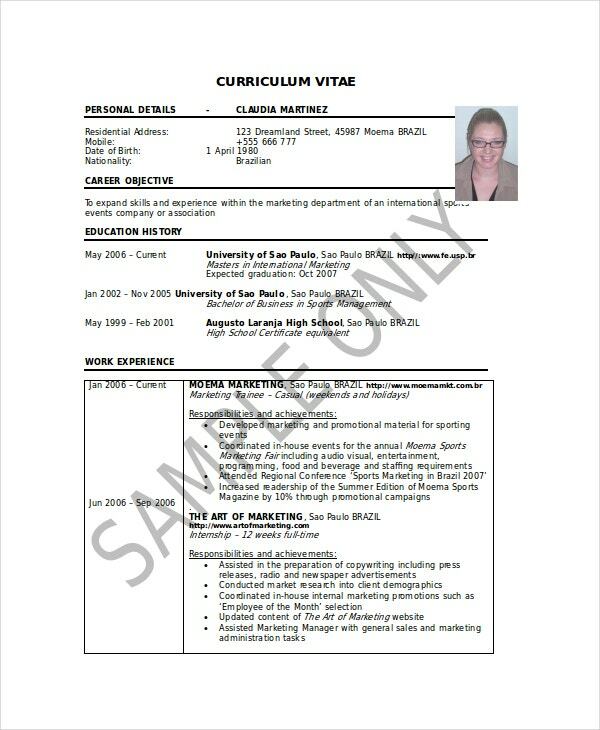 Irrespective of whether you’re still in high school or you’ve just graduated, you’ll find tons of resumes that meet your requirements. You’ll just have to go through the templates and take your pick! You can them modify them to go with your purpose!